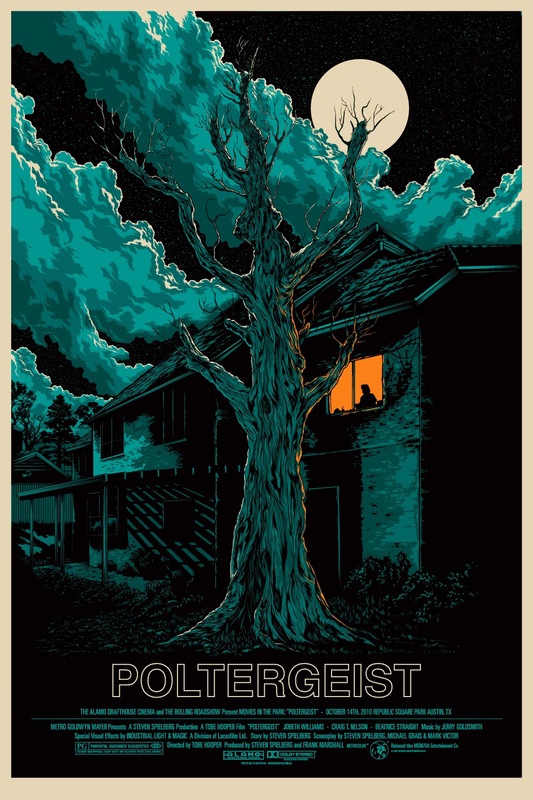 Mondo released this incredible and unique poster for "Poltergeist". 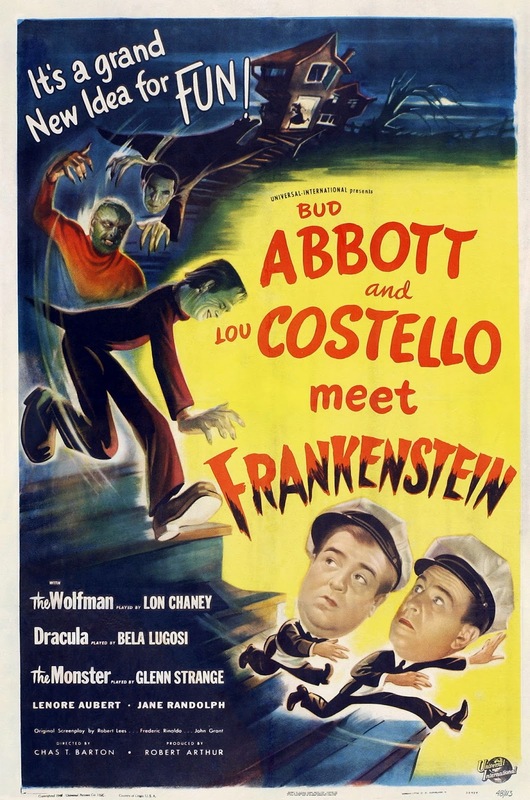 Monster Movie Posters: "Abbott and Costello Meet Frankenstein"
Jack Pierce works his magic on Boris Karloff. 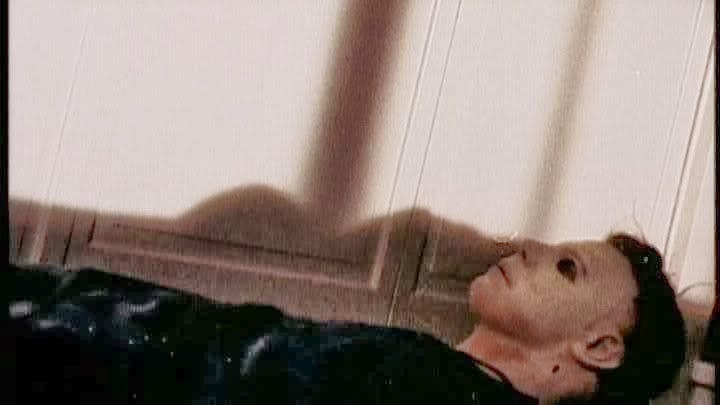 Does anyone know which movie this is from? 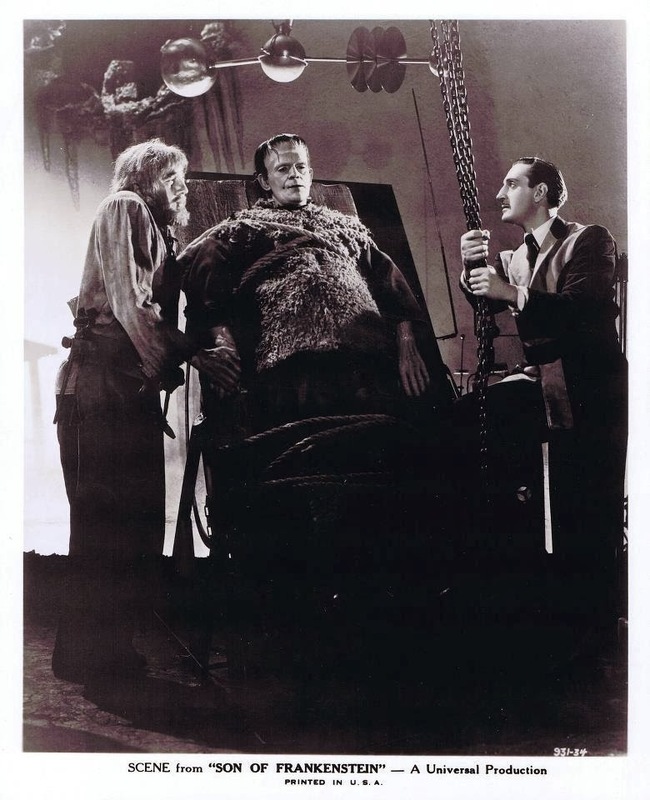 Here we have Bela Lugosi, Boris Karloff, and Basil Rathbone in "Son of Frankenstein"! 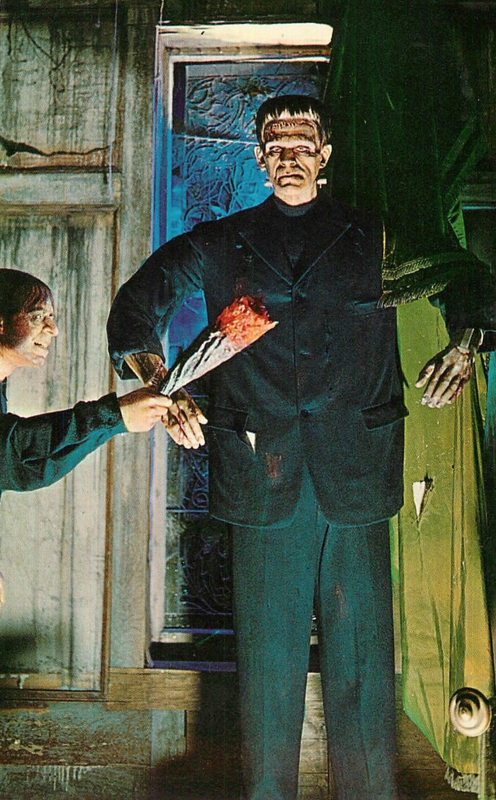 Dwight Frye as the hunchbacked assistant in "Frankenstein". 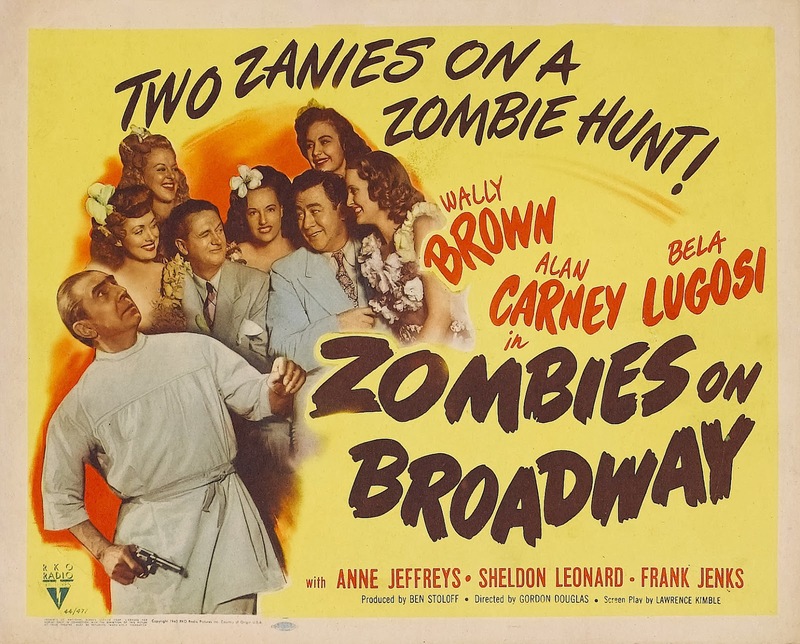 Monster Movie Posters: "Zombies on Broadway"
Bela practices some monster-iffic poses! 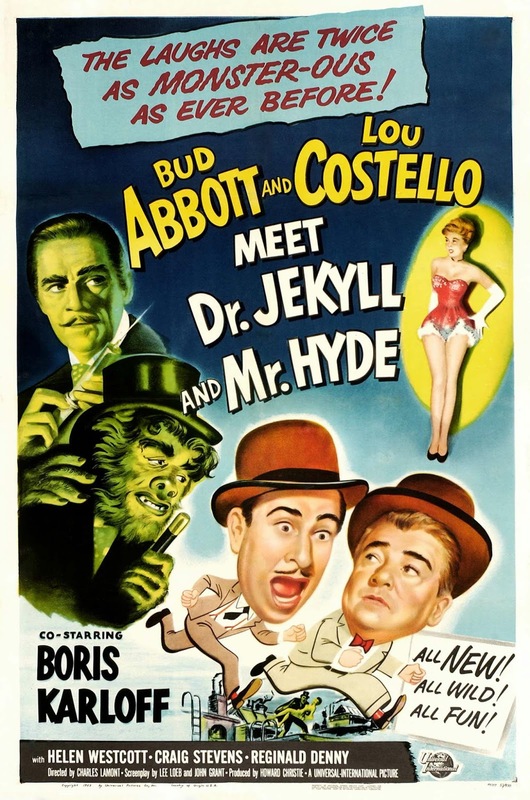 Monster Movie Posters: "Abbott and Costello Meet Dr. Jekyll and Mr. Hyde"
A neat and unique Frankenstein collectible! 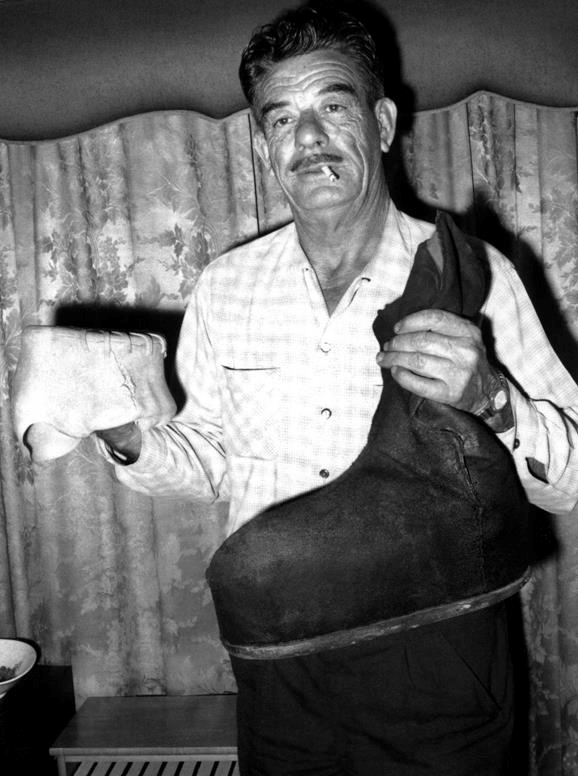 Monster Movie Posters: "The Mummy's Hand"
Glenn Strange shows us the head piece and a single shoe he wore in "Abbott and Costello Meet Frankenstein". 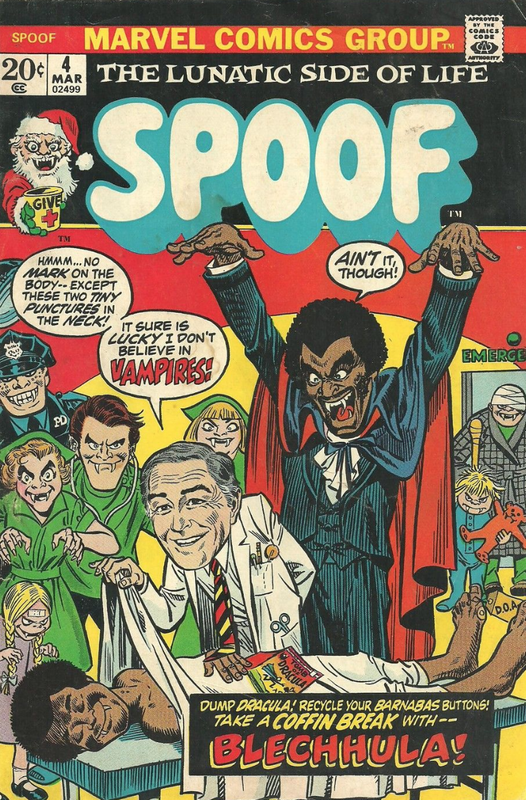 Dr. Frankenstein and his assistant Fritz show Dr. Waldman what they have in store for the night. 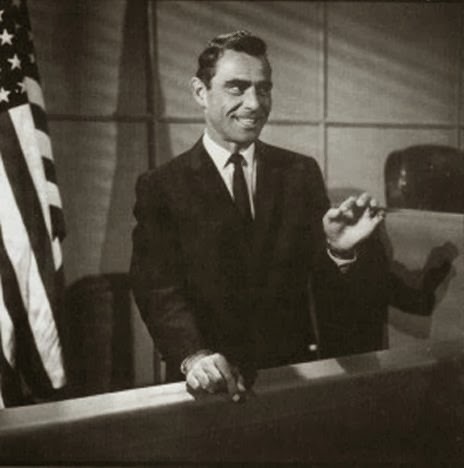 I love the portrait of Rod Serling! 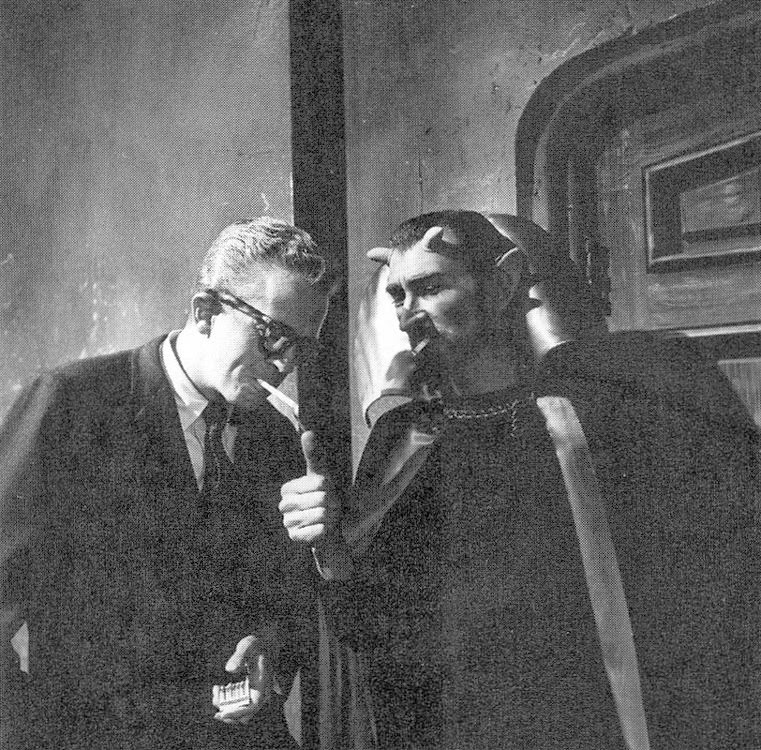 From the set of the Twilight Zone episode entitled "The Howling Man". 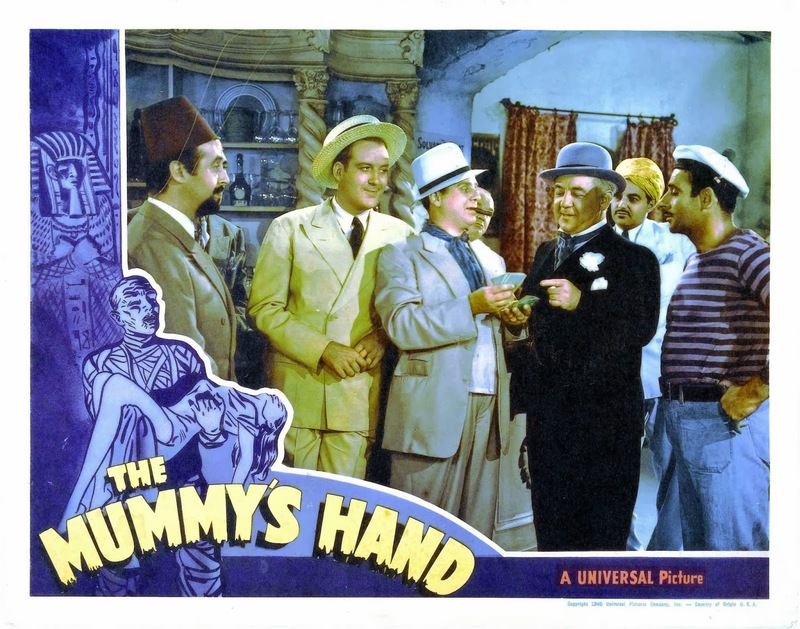 From Tom Tyler in "The Mummy's Hand"! The Gargantua Bros At It Again! 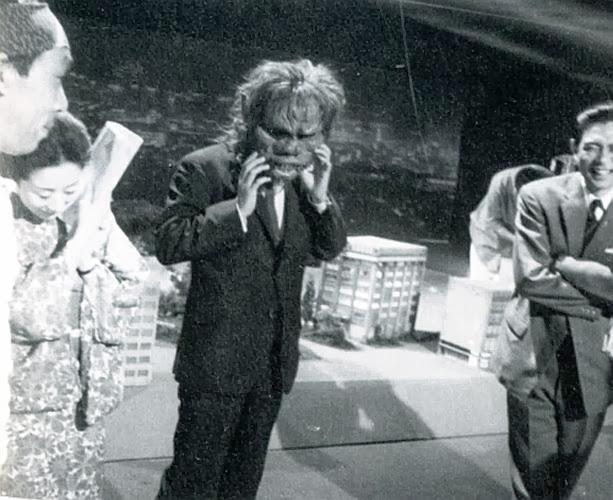 A bunch of excellent "Gargantua" photos from the Japanese Laserdisc. 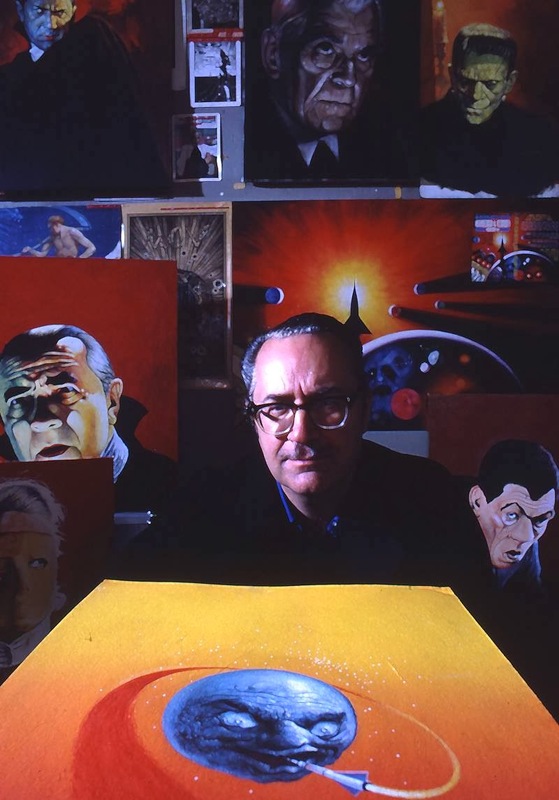 Forrest J Ackerman surrounded by paintings of a few of his friends. 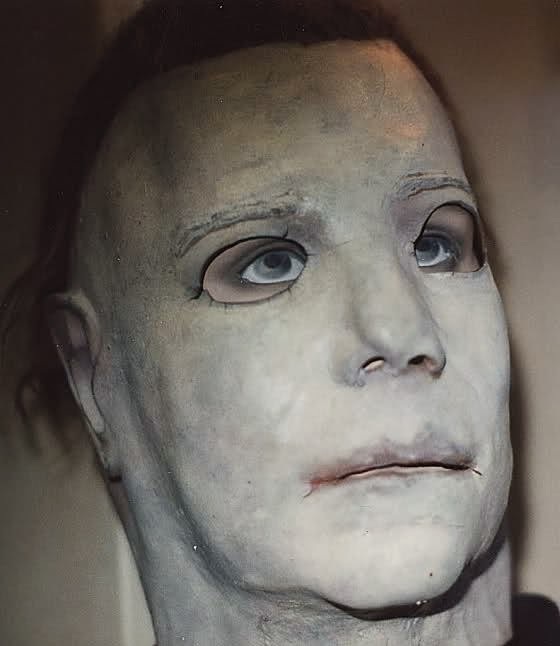 This is perhaps the most recent picture of what the Michael Myers mask used in "Halloween II" looks like. 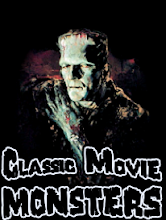 The Monster is trapped in the windmill in the climax of "Frankenstein". 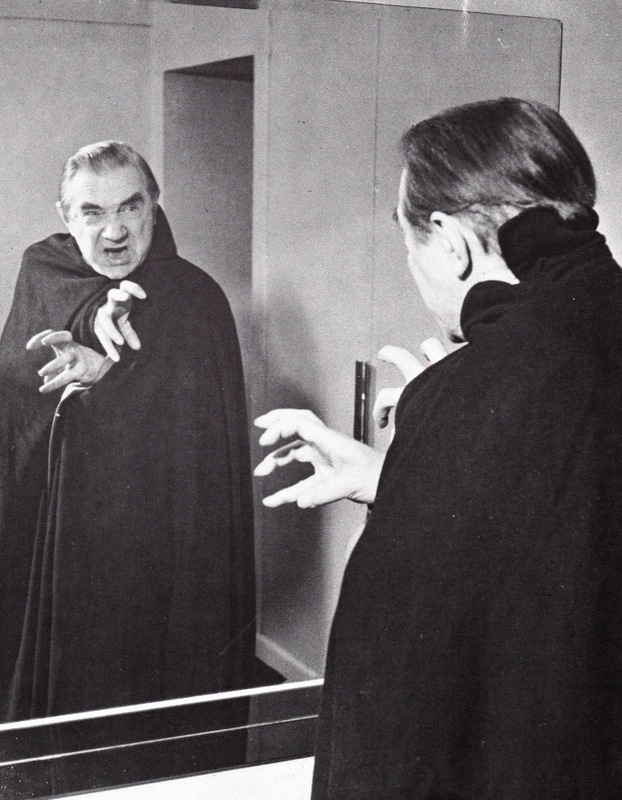 Bela Lugosi on the legitimate stage as Dracula. 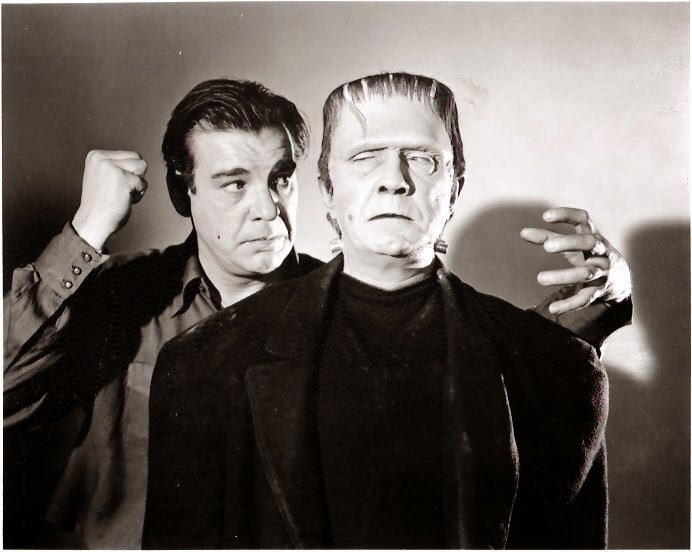 Lon and Bela pose for a publicity still for "Frankenstein Meets the Wolf Man". 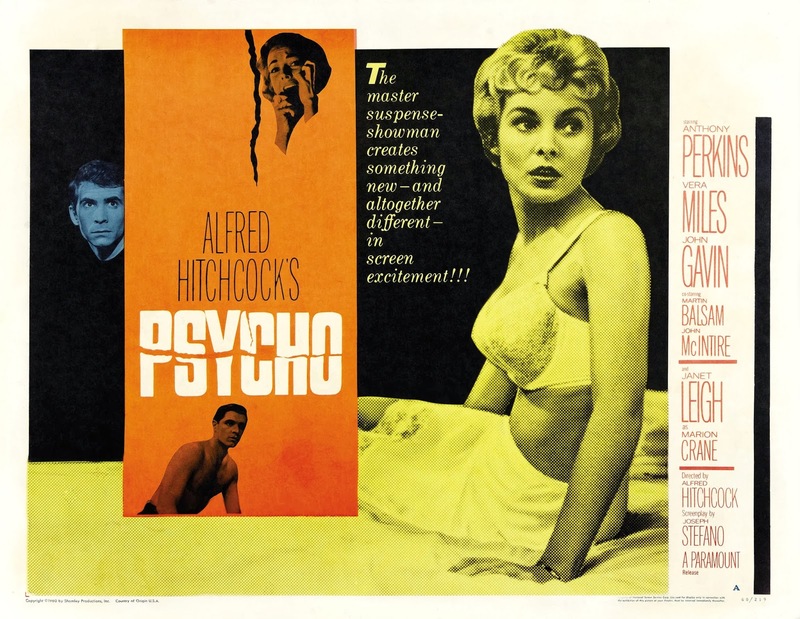 Straight from "The Twilight Zone"! 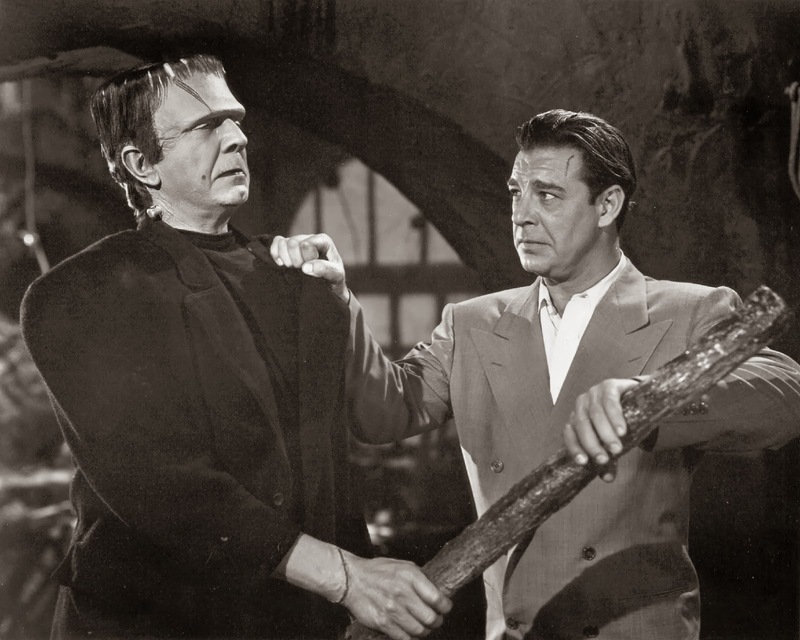 Boris Karloff suffered serious back pain for the rest of his life due to the climax of "Frankenstein" where he carries Colin Clive. 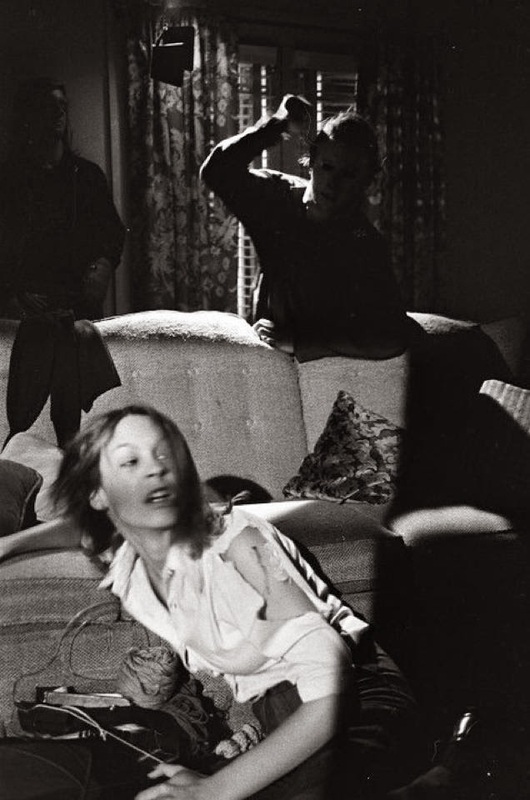 Perhaps my favorite moment from John Carpenter's "Halloween". 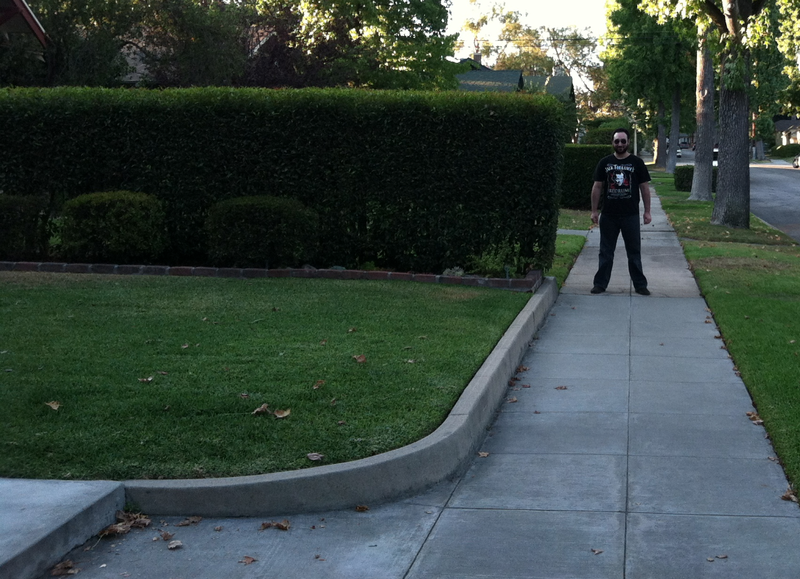 And just for comparison, here's a photo of me at that same location 35 years later! The Japanese laserdisc of "War of the Gargantuas". Happy Birthday Lon Chaney, Jr! 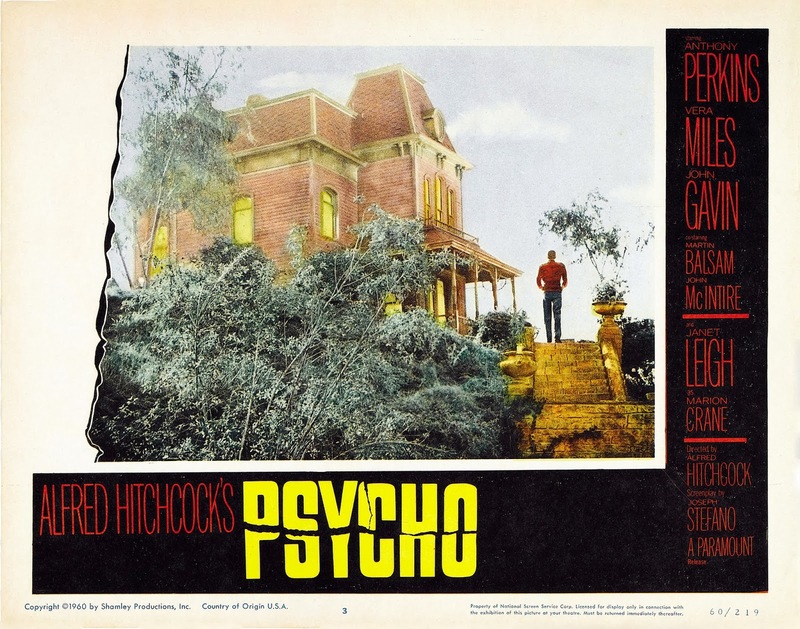 Happy Birthday to my favorite of the Universal Horror Actors! 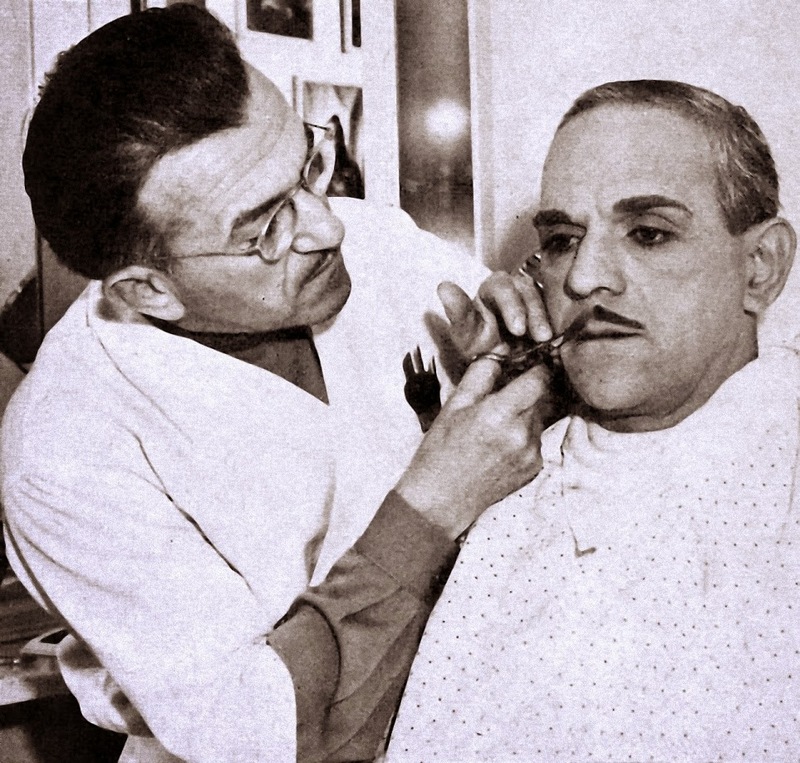 He didn't have the acting ability of Karloff or the presence of Lugosi, but Lon gave his all and his movies were always pure fun. 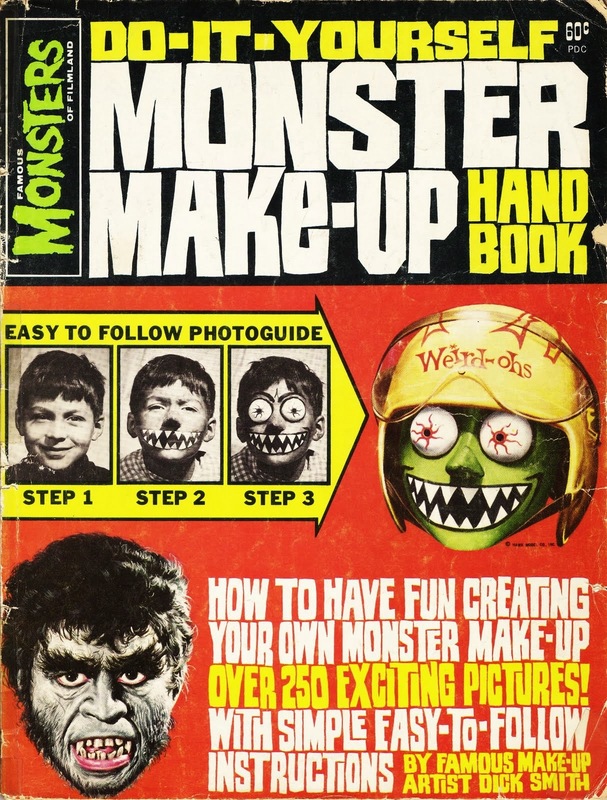 Here is a publicity photo from Lon's first stint in a Universal Horror Film, "Man Made Monster"! The Face of a Gargantua! 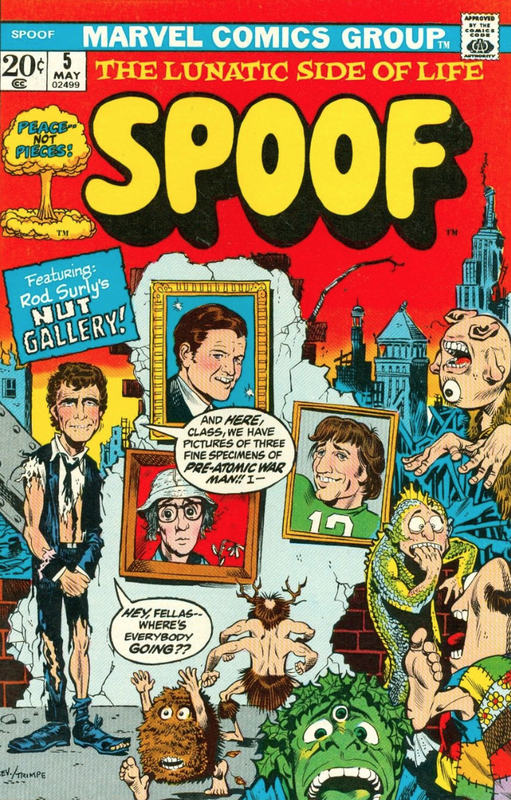 Here's a unique behind the scenes photo on the set of "War of the Gargantuas"! 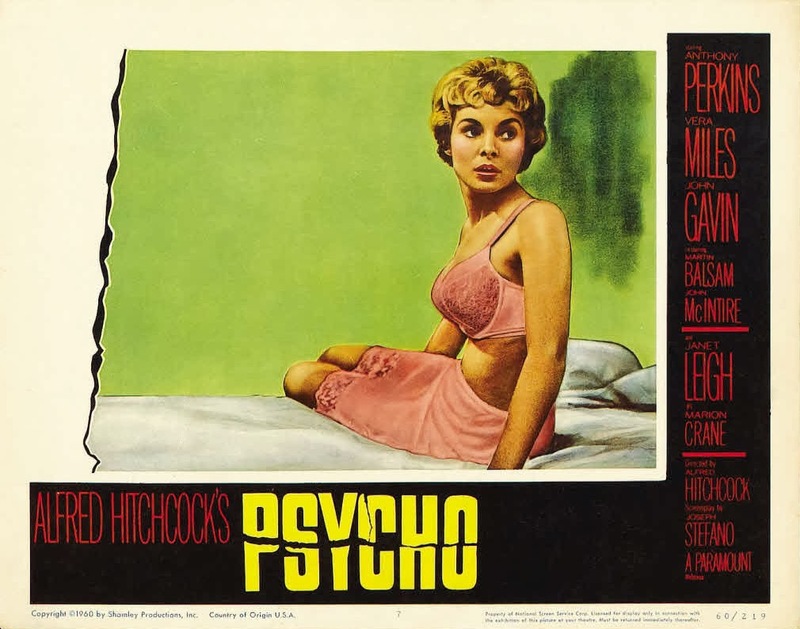 Dr. Waldman's lecture is quite thrilling in "Frankenstein". 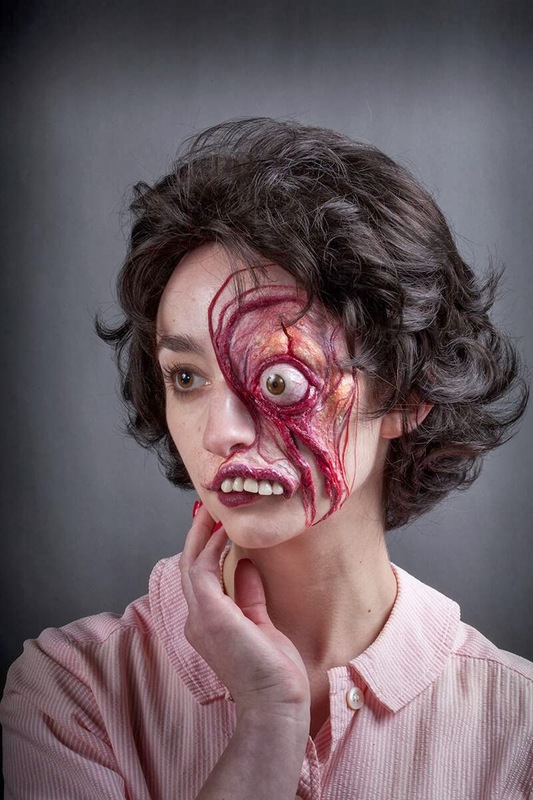 Rick Baker did this incredible make-up job on his daughter as an homage to a Bob Burns make-up from 1959. 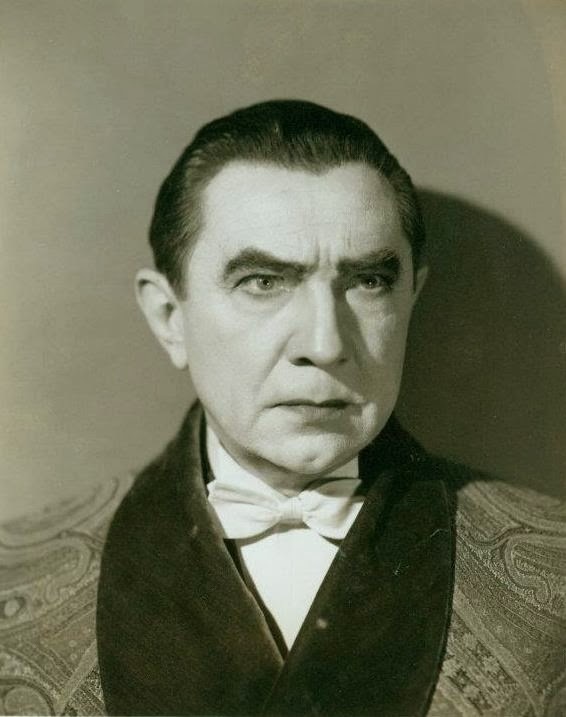 It's good ol' Bela as he appeared in "Abbott and Costello Meet Frankenstein". 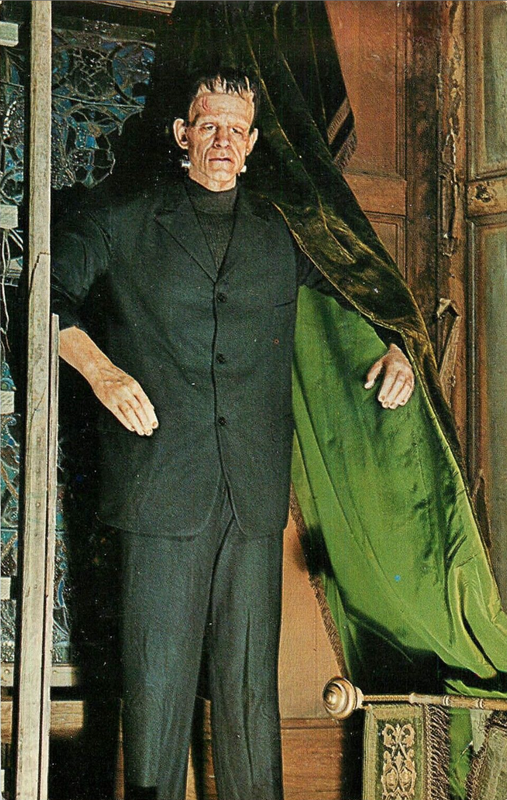 Here are a couple of shots of the Frankenstein wax figure that was on display at Movieland Wax Museum in Buena Park, California! 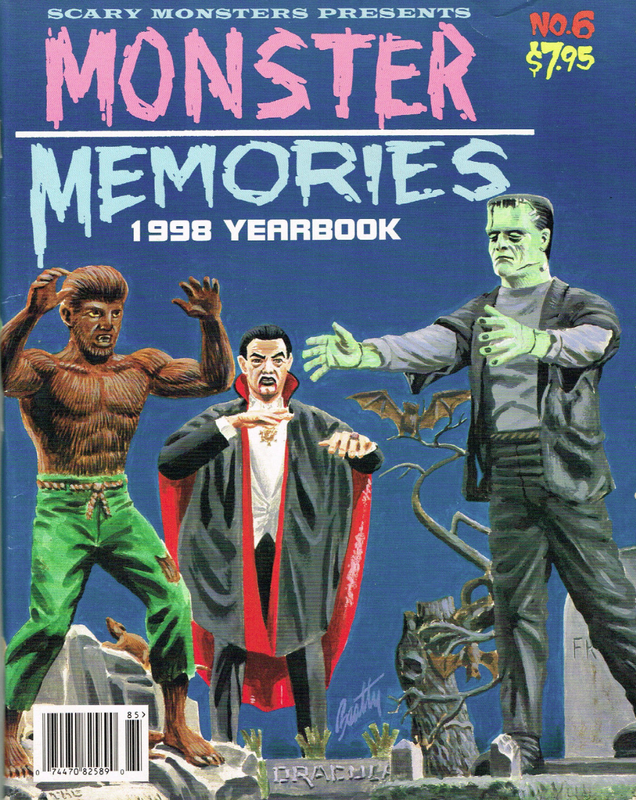 I love this cover of Scary Monsters' Monster Memories Yearbook. There's nothing better than the Aurora Monster models! 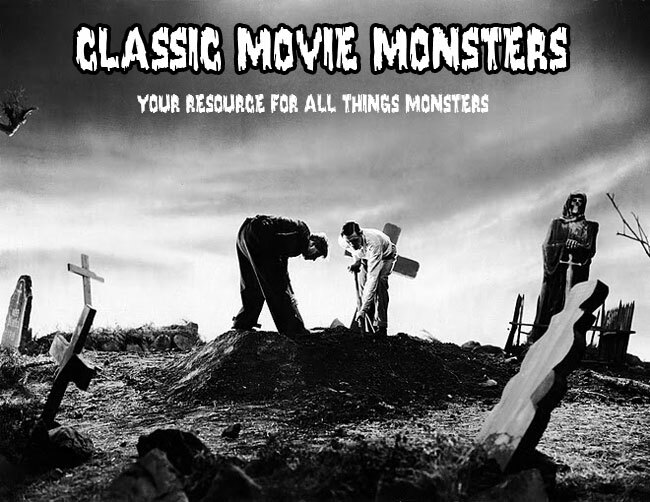 The Monster and Lawrence Talbot from "Frankenstein Meets the Wolf Man". 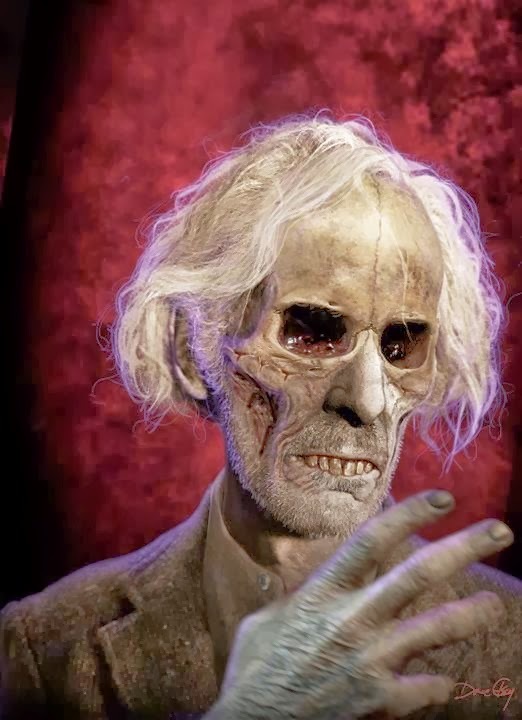 An incredible digital painting of Peter Cushing as Grimsdyke from "Tales From the Crypt" by Dave Elsey!